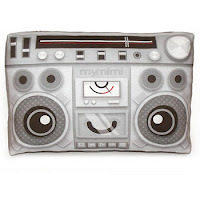 Having just written a freelance piece for Vervegirl.com on Kawaii items, I couldn't help but notice this little smiley fella... the mini boombox throw pillow from Shanalogic. I won't lie to you (gee, I sound like Nessa from 'Gavin & Stacey'! 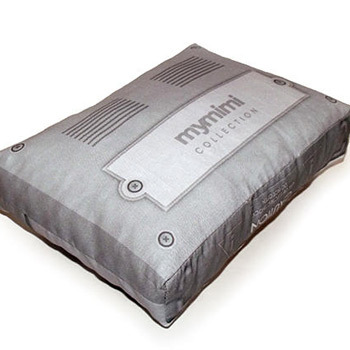 ), I often hunt down little cute treasures like this one - they just make the day a little brighter and less serious. A good reason in my books. This boombox pillow pal has all the mod cons, even the battery compartment on the back. How's that for realistic!